Allah mian kamyabi ata farmain! Very risky scheme, down the road after 3-4 years, if inflation continues to rise then many of the borrowers will become defaulter then what will happen. It has happened in developed countries. This much amount can only be received through submission of forms. Also, a lot of these low income houses supposed to have mortgage insurance that will further mitigate that risk. 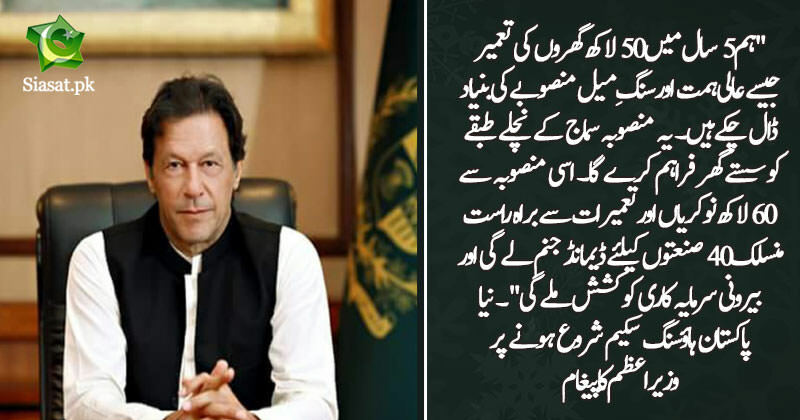 Way to go Khan Saab..